Until the first Philharmonic concert on March 28, 1842, the city which gave its name to the Viennese classics - Joseph Haydn, Wolfgang Amadeus Mozart and Ludwig van Beethoven - had no professional concert orchestra. Concerts of symphonic works were played by ensembles specially assembled for the occasion. Orchestras composed entirely of professional musicians were found only in the theaters. The logical step of playing a concert with one of these orchestras was taken at the end of the 18th century, when Wolfgang Amadeus Mozart engaged the orchestra of the Vienna Court Theater for a cycle of six concerts in 1785. Ludwig van Beethoven also engaged this ensemble on April 2, 1800 for a concert in which he premiered his first symphony. On May 24, 1824 the orchestra of the Gesellschaft der Musikfreunde (Society of the Friends of Music) and the court orchestra joined forces with the court opera orchestra for the premiere of Beethoven's Ninth Symphony. 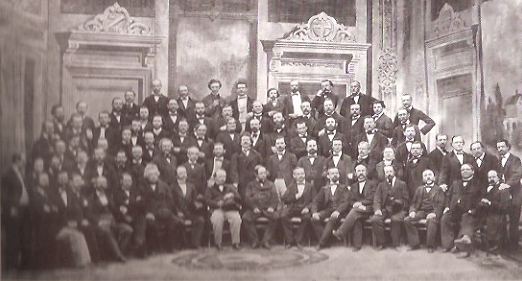 Despite these promising beginnings, however, the largest and finest ensemble in Vienna only managed to become an organizer of classical symphonic concerts in a very roundabout way. The Bavarian composer and conductor Franz Lachner, conductor at the court opera theater from 1830, played symphonies by Beethoven in the intervals of ballet performances. From these experiments to the court opera orchestra's first entrepreneurial activities was only a small step, and in 1833 Lachner founded the Künstler-Verein for this purpose. However, the society disbanded after only four concerts due to organizational shortcomings. The orchestra is artistically, organizationally and financially autonomous, and all decisions are reached on a democratic basis during the general meeting of all members. The day-to-day management is the responsibility of a democratically elected body, the administrative committee. 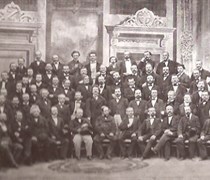 Thus, even before the political events of 1848, a revolutionary policy was adopted - democratic self-determination and entrepreneurial initiative undertaken by an orchestra as a partnership - which laid the foundations for technically and musically superior performances of classical symphonic works. Of course, this was only the beginning. The association of musicians would suffer serious setbacks and learn painful lessons before it finally achieved true stability. 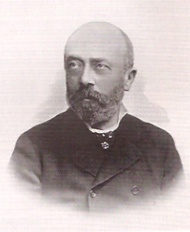 ≡ InfoOtto Dessoff | + Zoom Under the leadership of Otto Dessoff (1835-1892) the repertoire was consistently enlarged, important organizational principles (music archives, rules of procedure) were introduced and the orchestra moved to its third new home. At the beginning of the 1870/71 season it began playing in the newly built Goldener Saal in the Musikverein building in Vienna, which has proved to be the ideal venue, with its acoustical characteristics influencing the orchestra's style and sound. 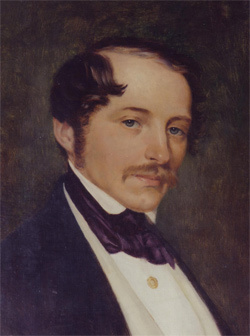 When Otto Nicolai left Vienna permanently in 1847, the young enterprise almost collapsed, having lost in one person not only its artistic but also its administrative leader. Twelve years of stagnation followed before a new innovation brought about the long-awaited change of fortune. On January 15, 1860, the first of four subscription concerts took place in the Kärntnertortheater under the baton of then opera director Carl Eckert, and since that time, the "Philharmonic Concerts" have been staged without interruption. The only significant change in all those years was to switch from having one conductor for a complete season of subscription concerts to the present system of having various guest conductors within a season.